Our first day of shooting in Colorado was spectacular! I have to admit it was cold but not as bad as we expected, actually we are loving the mountains and laid back attitude that seems to be the foundation of this city. 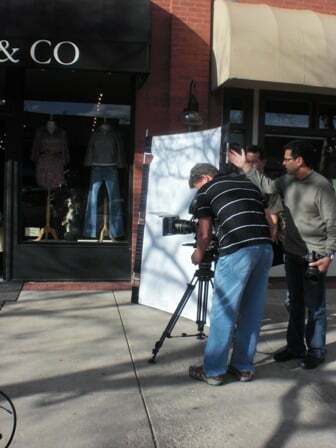 Here is a picture from today’s shoot of our 3 models shopping and of course our fabulous production team.